I was sent a link to a newish American bike brand today. Civia Cycles. I like the look of the ride. Above is their Loring model. Very cool, very European in style, lovely lines and functionality - they forgot the chain guard, but hey... First impression: cool stuff. Very cool. On the Loring page there is even a little gallery of photos featuring photos, like the one above, of regular people on these regular bikes in an urban setting - refreshingly helmetless, too. Lovely. First impression just got better. Featuring Sub-Arctic Extreme Bike Ridin' Dude-o-rama Rock and Roller! I seriously thought it was a joke. Have a look at the Clothing/Weather page here. "And lastly, we state the obvious: these are only suggestions. You must ultimately use your own best judgment when dressing for a ride. So remember, when it's cold, skin does freeze, and when it's hot, heat stroke can kill." It's just ridiculous. They should really have a little corporate powwow and figure out what it is they want to sell. I just don't understand. Or have a long read of the promoting cycling tag here on the blog. What's more, they offer up 13 photos of 'dressing' for every weather condition from Dry 100º to Dry -20º and Wet 30º to Wet 100º but they haven't bothered with, for example, Wet -20º - which is what we call SNOW. 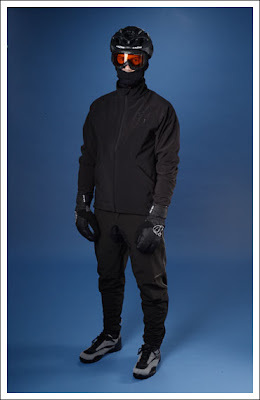 Not even in northern Sweden, in cities with 25% bike usage in the dead of winter do you see people dressed like the Rambo guy on the website. Sheesh. Not to mention the fact that Rambo would look so bloody stupid on one of their lovely bikes with the cool wooden box at the front. 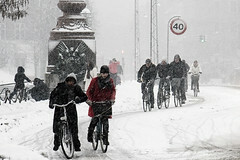 And with the harsh winters over the past two years in Northern Europe, people still just ride - infrastructure or not - in the clothes in their closet. Instead of 'following the money' to the products so eagerly sold by the sports industry. Useless, pointless overcomplication of urban cycling that risks alienating newcomers to urban cycling by telling them they need fancy, geeky winter 'gear'. 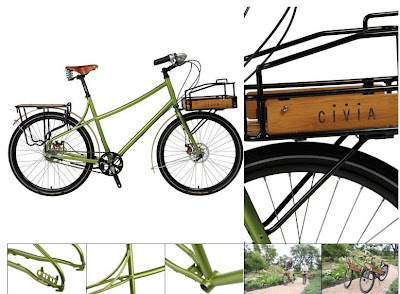 This is NOT how to sell urban cycling to the masses. This is sub-cultural marketing. 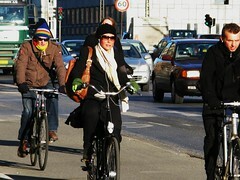 Regarding cold weather, here are some pickings from the Copenhagen Cycle Chic archives. 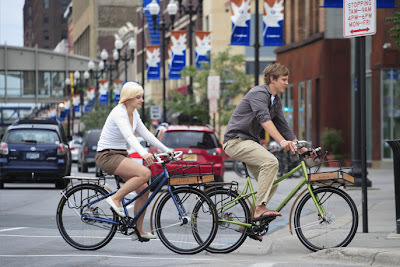 Featuring cyclists that would actually look great on their Loring bikes above. 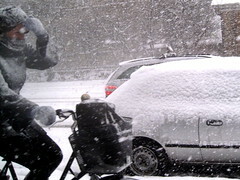 UPDATE: Here are some photos of snowstorm citizen cyclists who HAVEN'T been sucked into buying "winter cycling clothes" who who just wear the same clothes as when walking around the city.